The new price for a Tesla Model S is approximately $65,000, with delivery in September. Honda Fit prices range between $14,500 and $17,500. Conclusions about the socio-economic profiles of Los Altos drivers are left to the reader. Having seen my first BMW i3 last week, it will be interesting to see whether they become as common as Teslas. 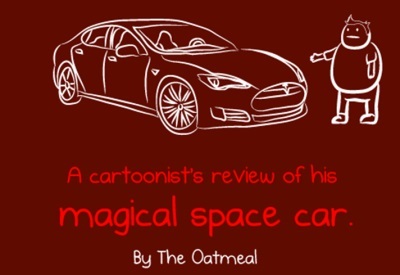 The Oatmeal has a particularly good explanation of what a Tesla is and why people like them.